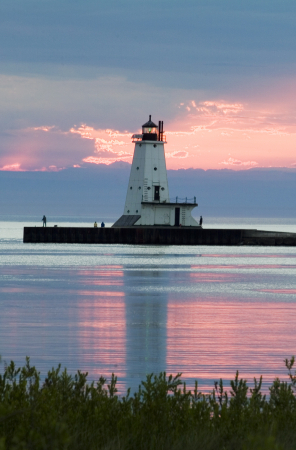 The Southwest Michigan Wine Trail Offers Spectacular Sunsets, World Class Beaches and Award Winning Vineyards. Discover a world of outstanding vineyards and stunning vistas in the heart of the Midwest. 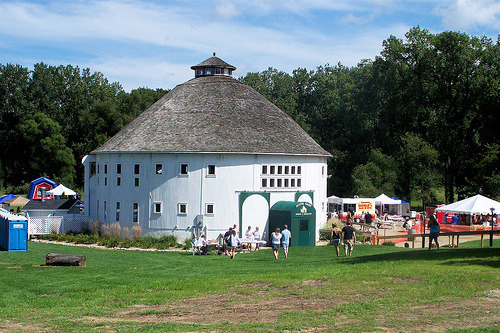 A scenic drive along the picturesque coast of Lake Michigan will lead you to the quaint resort town of Union Pier and the Round Barn Winery. Continuing north through St. Joseph, South Haven, Fennville and Saugatuck stop and sample handcrafted wines at each of the tasting rooms you encounter. Wine novices and aficionados alike are sure to enjoy the award winning Michigan vineyards as well as the spectacular sunsets and world class beaches that Michigan�s Gold Coast has to offer. Sandy shores and a refreshing lakeside climate have earned this small corner of the state its designation as an American Viticultural Area. With over ten thousand acres of grapes and 11 wineries and tasting rooms the exciting world of wine is practically in your own backyard. Visit scenic tasting rooms nestled among the rolling hills and inland lakes. Just a hop, skip and a jump from the hustle and bustle of Chicago you�ll be pleasantly surprised by all the area has to offer. Complementary tasting rooms offer you the opportunity to sample a variety of wines and learn each vintner�s unique philosophy. 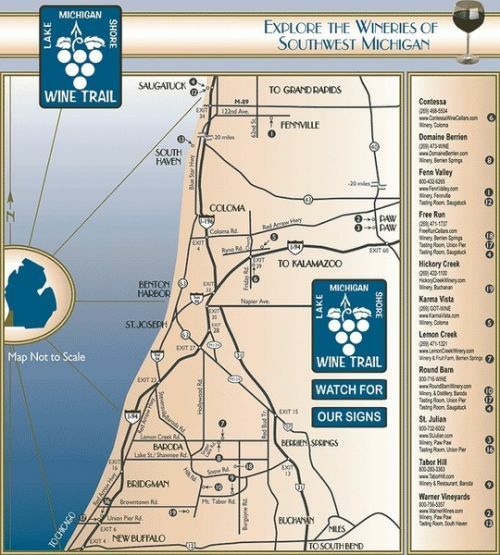 A list of upcoming events and a free trail map are available from the Southwest Michigan Wine Trail to help you plan your excursion. Limo services are available to ensure that your trip is safe and enjoyable.